Are you interested in opening a Home Health Care Agency? If so, opening a Home Health Care Agency is the ideal solution. Professional and non-medical agencies providing in-home care for seniors are currently serving less than one percent of this significant growth group. Opportunities to open a home heath care agency continue to grow due to the aging population and preference of many older Americans to be cared for in their homes. Opening a home health care agency to meet this great demand for in-home care may potentially be a rewarding business enterprise. A home health care agency offers helpful services for needing people, especially the elderly. The home health care agency owner can go to the patient’s home and provide services. Owning a Home Health Care Agency is an extremely rewarding profession. Few businesses offer this level of appreciation from those they serve or the satisfaction of providing a much needed service. The recent and ongoing changes for state licensing standards, regulatory requirements and accreditation standards can make opening a new home health care agency very challenging. 21st Century Health Care Consultants specializes in opening home health care agencies. We have a complete understanding of industry standards, regulations, federal, state and Medicare compliance and accreditation requirements. Our New Agency Start-up Program is designed to assist and provide you with everything needed to open a Home Health Care Agency. We enable you to provide a wide range of health and social services to persons recovering from an illness, injury, or persons who are disabled and/or chronically ill. Our start-up program will enable your home health care agency to provide medical services such as nursing, social services, and therapeutic treatments (physical, speech, occupational therapy). We can also assist you with opening a Non Medical Home Health Care Agency providing non-medical personal and companion care services. To find out more about our consulting program you can click on any of the areas listed below. 21st Century’ Home Care Business Startup Process includes the completion of your states home care license application and all of the required home care business license paperwork requirements for you. 21st Century’s Home Care Business Startup Process begins with incorporating your home care business and obtain a Tax ID and NPI number for your home care business. Every state has different home care license and operation requirements and standards. Our home care consultants are well versed in all states and are able to assure you will achieve home care business licensure using our home care business policies and home care consulting services. 21st Century’s Home Care Business Startup Process includes home care policy and procedure manuals that are written to meet state standards and customized to your home care business including your home care business logo, staff and office details. Along with your customized, state specific home care policy and procedure manuals, 21st Century’s Home Care Business Startup Process also includes all of the operation forms and documents you will need to operate your home care business and stay compliant with State and Federal regulations. Complete setup of your human resource department, including personnel files, competency evaluations, job descriptions, performance evaluations, in-service education guides and all other forms required for the home health care business to be operational. Our core personnel are former CHAP Accrediting Body Senior Site Supervisors. We train your staff to eliminate home healthcare accreditation deficiencies and pass their home healthcare accreditation site survey inspection. We complete an ON-SITE Mock home healthcare accreditation audit at your location. This on-site audit includes a complete review of your Agency’s operations. Our Mock auditing procedures are similar to what the Home Healthcare Accreditation Site Surveyor will be requiring when they survey your agency for Medicare Certification. One area of our Home Care Business Startup Process focuses on assisting you with developing the essential marketing pieces you will use to market your home care business. 21st Century’s Home Care Business Startup Process will provide you with a customized search engine optimization website, tailored specifically for your home health care business. The goal of your SEO (search engine optimization) website is to have your home health care business achieve the best possible search results with Google, Yahoo, Bing and others. Also included as part of our startup process we will be creating and customizing your home care business brochures and business cards. These marketing materials along with others are yours. We will provide you with 1000 HQ glossy home care business brochures and business cards as well as the design files for all marketing materials. As part of our Home Care Business Startup Process, we will work with your agency on a one and one basis to successfully develop and implement specialty programs including Fall Prevention & Safety, Low Vision, Alzheimer’s Care, Transitional Care and Memory Care Programs. Our consultants will provide you with the materials and training necessary to implement each program. 90% or more of all hospitalized patients are receiving some form of infusion therapy. The average reimbursement for one infusion patient referred to you by an Infusion pharmacy is around $1625.00 for 13 visits. That’s equivalent to $125.00 per visit. We will train you on how to provide and market these services not only to Infusion pharmacies but also to Worker compensation and Commercial insurances. Lifetime home care business training means that anytime you need home care consulting, have questions or have staff that requires training, we are available to assist you at no additional cost. We will review the all clinical aspects of your agency. Admitting patients, review policies, referrals, as well as train you and your staff to understand how to obtain new clients, marketing, medical and emergency scenarios and many other topics. We offer 5 days of live home health care training. Our home health care business training seminars take place quarterly and are available to you, your current and future employees and never at any additional cost to attend. Access to our online Training Academy and Intranet Portal for your home care business and its employees. Includes, but is not limited to home care business training materials, marketing and advertising materials, interactive forum, networking (network with our entire database of existing home care businesses), 24 hour message board, etc. Our certified senior care consultants will provide ongoing support via phone or email at your convenience. Our certified senior care consultants will help you get through the possible challenges in operating a successful home care agency. With that being said, a successful home care agency depends on having all the building blocks in place to be known in their own market area as a provider of quality home care services. Critical to this process is understanding the importance of our internal and external customers. This includes our Employees (Caregivers), our Clients, and our Client Referral Sources and how we effectively identify, cultivate, grow and maintain relationships with each. Our coaches will provide you with the necessary assistance in understanding the requirements in providing services in the many areas pertaining to the activities of daily living. You will have the confidence to know that the clinical expertise of 7 degreed registered nurses are available when you need them. Several of our registered nurses are former state auditors and CHAP surveyors. With this type of support you will have peace of mind regarding patient care and documentation. This website is designed to provide patient referrals for our clients only. It provides a home care resource guide for patients in need of home care services throughout the country. This website recognizes the Home Care Agencies that we have established who have the very best of management and clinical operations. Their accomplishments are the result of 21st Century Health Care Consultants professional team and comprehensive training programs provided by 21st Century Home Care University. Your agency must first complete our standards of excellence program and then you will be eligible to appear in this directory. Our Veteran’s Program provides financing to our agencies, allowing them to assist Veterans and their surviving spouses (1 in 3 seniors) to receive up to 25hrs of home care per week paid by the Veterans Administration. The uniqueness of this program allows our home care agencies to receive payment for services while the application is being processed. The agency has a profit potential of $22/hr after paying the administration fee. These margins can provide the agency with much as $7000 per year per VA Program client. We also offer our agencies the opportunity for patient referrals through the “VA Homemaker Program”. As part of our training program our clients are taught how to get enrolled with VA Hospitals for this service. There are government programs that pay for Home Care. Our Medicaid Waiver Network are experts in completing all the necessary forms to assure approval and acceptance in state and federal programs. Our goal is to have a well balanced stream of revenue from all resources. (whether public or private). Save your agency time and reduce the need for excess office staff with State-of-the-art software that is cloud based to help you run your entire agency operation, whether it be from your computer, ipad or iphone. This will also include client scheduling software, referral tracking software, caregiver HR network, caregiver time tracking via GPS on smart phone app and family portal (your patient’s family can login and view for themselves how their loved one is being cared for). As the industry leader in home care consulting, we are able to pass on to our clients proprietary pricing that amounts to thousands of dollars in savings. * These discounts are exclusively provided to 21st Century Health Care Consultants clients only. $2200 off the normal fees associated with Private Duty Accreditation. $2000 in savings provided through an exclusive insurance package for our clients. $1500 discount provided by the Institute of Professional Education. Exclusive partnership agreement with ClearCare software, Alora software, MatrixCare software and Kinnser software. Additional savings agreements in place for our clients with several operational software and billing companies. With the establishment of several thousand home care agencies, our commitment to quality services is unparalleled in the industry. You will not find any negative feedback online from our clients. Our reputation is the best in the industry. We encourage you to call any of our clients. We do not carefully screen or limit our references. We will provide you with several hundreds to choose from. To open a Home Health Care Agency you will need to abide by the regulations that set forth by the state and federal governments. We are well informed in the difficult process of launching a new agency, helping create or re-focus business plans, articulating organizational needs, and the customization of all licensure and procedures so that from start-up, your organization is thriving and moving forward. 21st Century Health Care Consultants is a premier resource for Home Health Care agency start-ups. Established in 1995, we have assisted well over a thousand home health care agencies. We are experts at taking our client visions and transforming them into compliant, successful, rewarding, and profitable Home Health Care Agencies. We provide a full range of support services for our Clients, whether an existing or a opening a health care agency, we are the experts in helping individuals open home health agencies, from the corporate or limited liability set up, to the final stages of successfully operating as a Medicare accredited and certified home health care agency. We are also experts assisting our agencies in meeting all required operational standards. What separates us from other home care consulting companies is that we provide you with "Peace of Mind". Peace of mind in knowing you partnered with a consulting company that has been in business since 1995 and has established well over 2000 agencies throughout the United States. Your next decision is whether to start a homecare business on your own or team up with a home care franchise. By choosing a Franchise company you will be subject to franchise fees and must abide by a franchise operating agreement. This includes re-occurring franchise fees and territory restrictions. Starting a homecare business on your own will have lower start-up costs and right to provide services in all counties permitted in which your state license allows. Formal training or a medical background is not required for owning and managing a home care agency. Many healthcare workers often find this business endeavor attractive due to their experience but by no means a prerequisite. Strong communication and organization skills with a well planned business strategy are more fundamental to success. 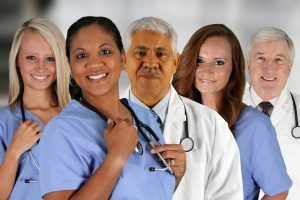 Licensure requirements vary widely from state to state for non-medical homecare agencies however are generally not so complex to discourage many from undertaking. Start by contacting your state licensing board to request a package or kit detailing all requirements. See lists of state contacts. Permits and home health care licenses are required for a home health business. The permits and home health care license requirements will differ for each state, so contact the secretary of state to get the proper list for the given state. The business also requires local permits, which can include a health permit from the county's health department and an occupational permit from the county's building and planning department. To open a home health agency you will need to apply for tax IDs and licenses. Contact the IRS to apply for an employer ID number, also known as an EIN. The business owner also needs a state tax permit, which can be obtained from the secretary of state's office upon registration. The state tax permit covers income taxes and employment taxes for the business should it require additional assistance. We Suggest that you purchase professionally written policy and procedures manuals. These policy and procedures need to be written specifically to include all of your state and federal requirements. If skilled services are provided these policies must include Medicare's conditions of participation and Accrediting body requirements. You will also be required to have all operational materials such as new patient admission packets, Personal Files, Logs, Forms, In-service Education Plans, Nursing Procedures, Documented minutes for committee meetings, etc. Consider joining a your states Home Health Care Association. This is a organization consisting of health care professional that focuses on assisting home health care agencies. Call for a Free No Obligation Consultation, so we may provide you with the information you need to open your own agency!